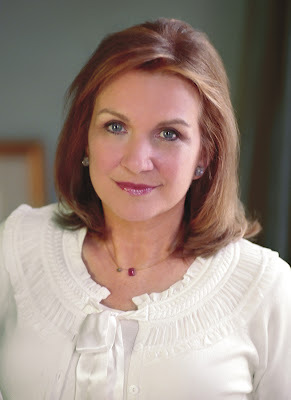 The death of Elizabeth Edwards last week gripped my heart in a way that I cannot even begin to explain. In the midst of a war with cancer, she battled an even more difficult war in the last few years of her life: a marriage that was permanently crippled by her husband's infidelity. I am blessed to be married to a man who takes God's high standards of marriage seriously. This is a significant responsibility that should never be taken for granted by any husband. His heart breaks for men who foolishly decide to leave their wives for another woman, thinking that this will fulfill an emptiness in their hearts that truly only God can fill. I, on the other hand, clearly feel for wives who has experienced severe rejection from their husbands. I know a lot of you agree when I say that nothing can make a woman feel uglier and more insecure. However, my heart grieves most for all the women out there finding themselves entangled with a married man. It is a choice no woman should ever have to make because it's life that literally walks away from the will of God. If you can identify yourself as this woman, I have some thoughts that I would like to share with you. 1) Perhaps the most common reason that everyone uses for getting involved extra-marital affairs is that the husband has been sexually and emotionally suffering in his marriage for a long time. "They have been having serious problems before I even came along," you say to yourself. Therefore, you cannot possibly be responsible for a marriage that falls apart. My friend, while it is true that the marriage has probably been going through a lot of problems before you came along, you are taking away that crucial opportunity for the husband and wife to have no choice but to cling to God so that He may perform miracles on their marriage. It is never your job nor your place to be the source of the solution. (b) recognize he cannot do it on his own and humbly recognizes he needs God during this time. Is the man who would rather take the first option really that much more attractive? 3) You are loved and created beautiful in eyes of your heavenly Father. You probably do not believe that right now. You probably think that man will give you the best love you can ever have. It probably boosts your self-confidence that a man would prefer you over his wife. It aches so much in me to even think that you believe that. Your God loves you and wants a relationship with you. Part of His plans for you is to give you a single, honorable man who has no eyes for anyone else except you. Jesus wants to give you the marriage of your dreams. A marriage that involves you, the man He created for you, and Him. Choosing to be with a married man is literally telling God: "I do not believe that You have someone for me. I do not trust You in this area. I would rather have faith in what this man is offering me than what You are willing to give to me." My friend, I do not wish to place condemnation in your heart. You are not an awful person. What's awful are the lies that you choose to believe because you have given your heart to a man who does not know what 'honor' really means. And I do not even blame you for believing him. But I promise you this: there is freedom in walking away from these lies and start moving into a place of truth. I cannot even begin to tell you how beautiful life is when you start allowing Jesus Christ to fill everything that your heart needs. Please talk to someone today. There is a way out. And that path is the best first step to freedom you will ever make.